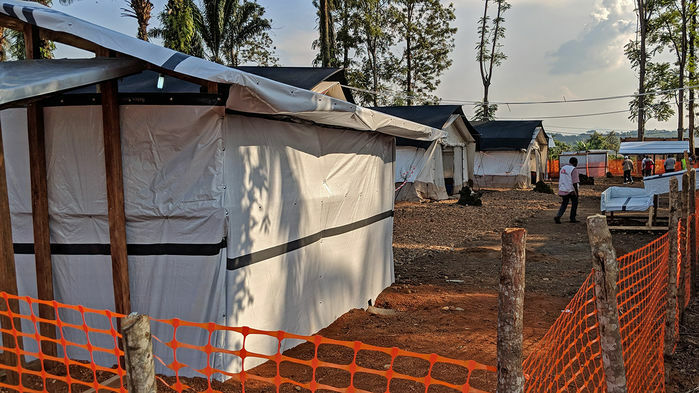 The virus has spread to seven health districts in North Kivu and Ituri, two northeastern provinces near the border with Uganda that have long been plagued by armed conflict between insurgent groups and government forces. This could vastly complicate efforts to contain its spread, as workers may have to travel with armed escorts. So far, however, security issues have not hampered the attempts to isolate the infected and to treat people, educate communities about personal hygiene precautions and safe burials, and conduct surveillance, Salama says. That’s in part because the majority of cases are in a single village, Mangina, where response teams have been able to work safely.